FOR ANY PROVIDER YOU WANT! Unlock your phone in minutes with our 100% money-back guarantee! Start now by selecting your phone. 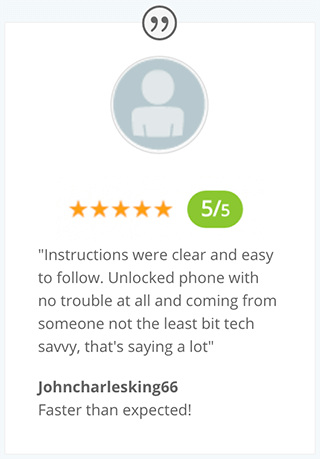 UnlockingUniverse is the #1 U.S. based Cell Phone Unlocking Company in the World and we have the numbers to prove it! With over 7 years experience and 3 million phones unlocked to date, The Unlocking Company has established itself as the most trusted and visited website on the planet for all your unlocking needs. If you’re looking to unlock your phone you came to the right place! The whole process only takes a few minutes, requires no technical knowledge, and can be done from the comfort and convenience of your own home. No need to spend a fortune at a local shop or wait weeks for your code to arrive, over 99% of our unlocks are sent in only minutes! So how does the whole thing work? It’s easy! Simply enter your phones information, then checkout securely via Paypal or credit card, and we will email you the unlock and very easy unlocking instructions before you know it. Finally have the freedom to use your phone on whatever carrier you choose! 100% customer satisfaction on absolutely every purchase! If you have any questions we’re open 24/7 and look forward to hearing from you. Unlocking your phone will enable it to work on any GSM network in the world. No longer be tied down to one stingy carrier. If you love your phone, unlock it, and be able to use it where and how you like! Switch to a cheaper network or one that works better in your area, travel as you please with no roaming charges, or just sell your phone for more cash. It’s great for traveling businessmen or women, college students studying abroad, military serving overseas, list goes on and on. Or if you’re ready to switch carriers and it’s just time to take the leap and unlock your phone! There are no negatives, and so so many great benefits to unlocking your phone! If you enjoy phones and tech be sure to check out our main tech channel partner and good friend Ed over at TechSource. Subscribe for your chance to win a gaming PC every month sponsored by us! Also, if you’d love a beautifully custom carved wooden case for your newly unlocked phone check out our friends over at Carved.com! Not Sponsored, we just love what they’re doing over there! Thank you for stopping by. We are UnlockingUniverse. Just a little bit about who we are and what we do. We are a U.S. based Cell Phone Unlocking Company. We have two locations one in California and one in New York. We have been in business for almost 8 years now and have unlocked a little over 3 million phones. 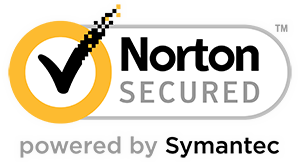 Our website is secured and verified by McaFee and Symantic and all our purchases are protected and accepted by Paypal so you know you’re in good hands. On any given day we unlock around 1,500 phones from over 75 different countries. We are open 24/7 and have several people working around the clock at any given time. If you have any questions or concerns you can call us at any time of the day, email us, or use the chat you see on the lower left corner of the website. What we do is pretty simple. We unlock cell phones to work on different networks. Comes in handy if you want to unlock your phone and use it on a cheaper network, or if you’re traveling overseas and don’t want roaming charges, or if you’re selling your phone and simply want to get more money for your phone. There are a lot of benefits to unlocking your phone and absolutely no negatives. The whole process is really simple and can be done from the convenience of your own home or office. It’s 100% legal, doesn’t void your warranty, and requires no technical knowledge. If you’re still unsure you can check out our social media pages and Resellerrating account to see our great feedback and reputation. Anyways that’s just a little about us if you have any more questions please let us know and we hope to hear from you soon!